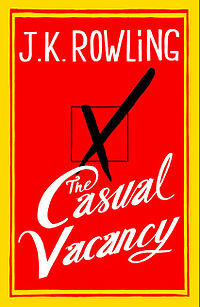 The Casual Vacancy by J.K. Rowling, has been newly released in paperback and Telegraph Readers can claim the book for just £2.99 (RRP £9.99) By Buying The Telegraph in any WHSmith High Street or Travel store between Thursday, December 19, 2013 and Wednesday, December 25, 2013, or bring in one of the printed vouchers published in the paper on Thursday, December 19, or Saturday, December 21. The Casual Vacancy is J.K. Rowling’s first foray into adult fiction, The 512-page Novel, is described as a blackly comic, thought-provoking and constantly surprising’ comic tale. The protagonist is a young woman with Obsessive Compulsive Disorder who lives in ”The Fields” whose character was inspired and shaped by J.K Rowling’s own teenage battle with Obsessive Compulsive Disorder, anxiety and depression. The town of Pagford is left in shock and this soon becomes the catalyst for the biggest war the town has yet seen as the forces of darkness, led by scheming Howard Mollison, the obese delicatessen owner, seize their chance to get on the Parish Council in order to push through their plans regarding a nearby run-down housing estate named “The Fields”, and reassign it to the district council of the nearby city, Yarvil, thereby off-loading responsibility for its drug-addled inhabitants, and driving them out of the catchment area for Pagford’s nice primary school. 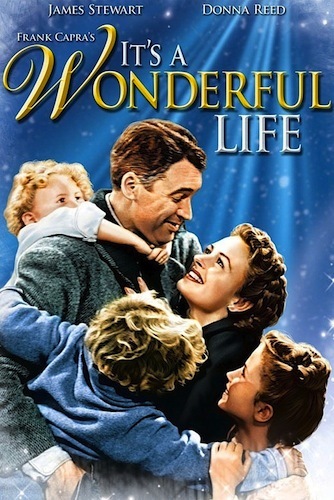 Despite initially being considered a box office flop due to high production costs and stiff competition at the time of its release, the film has come to be regarded as a classic and is a staple of Christmas television around the world. Theatrically, the film’s break-even point was actually $6.3 million, approximately twice the production cost, a figure it never came close to achieving in its initial release and was seen as a major disappointment which suggested that Capra was no longer capable of turning out the populist features that made his films the must-see, money-making events they once were.”The film was nominated for five Oscars and has been recognized by the American Film Institute as one of the 100 best American films ever made. placing number 11 on its initial 1998 greatest movie list, and number one on its list of the most inspirational American films of all time. .The Grapes of Wrath was published in 1939 and won the annual National Book Award and Pulitzer Prize and was cited prominently when he won the Nobel Prize in 1962. Set during the Great Depression, the novel focuses on the Joads, a poor family of tenant farmers driven from their Oklahoma home by drought, economic hardship, and changes in financial and agricultural industries. Due to their nearly hopeless situation, and in part because they were trapped in the Dust Bowl, the Joads set out for California. Along with thousands of other “Okies”, they sought jobs, land, dignity, and a future.The Grapes of Wrath is frequently read in American high school and college literature classes due to its historical context and enduring legacy. A celebrated Hollywood film version, starring Henry Fonda and directed by John Ford, was made in 1940. 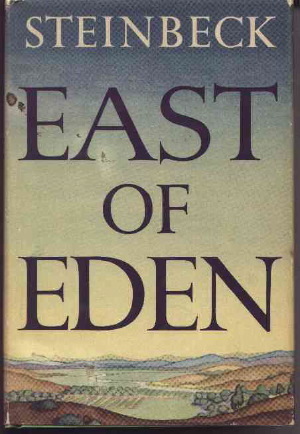 East of Eden is Often described as Steinbeck’s most ambitious novel East of Eden is set primarily between the beginning of the 20th century and the end of World War I, It is the story of warmhearted inventor and farmer Samuel Hamilton his wife Liza, and their nine children who live on a rough, infertile piece of land in the Salinas Valley, California,. As the Hamilton children begin to grow up and leave the nest, a wealthy stranger, Adam Trask, purchases the best ranch in the Valley, Adam joined the military and then wandered the country until He was caught for vagrancy, escaped from a chain gang and burgled a store for clothing to use as a disguise. Then he learns that his father has died and left him an inheritance of $50,000.A parallel story introduces a girl named Cathy Ames, who grows up in a town not far from the brothers’ family farm who is cold, cruel, and utterly incapable of feeling for anyone but herself. She leaves home after killing both of her parents. Finally, she is viciously beaten by a pimp and is left close to death on the brothers’ doorstep. Although Charles Hamilton is repulsed by her, Adam, unaware of her past, falls in love with and marries her and goes to California where he settles with the pregnant Cathy in the Salinas Valley, near the Hamilton family ranch. Cathy does not want to be a mother or to stay in California, but Adam is so ecstatically happy with his new life that he does not realize there is any problem. Shortly after Cathy gives birth to twin boys, she shoots Adam in the shoulder and flees. Adam recovers, but remains in a deep and terrible depression until he becomes good friends with Cantonese Cook Lee and Samuel Hamilton and learns the story of Cain & Abel and the Hebrew word “Timshel” which means “thou mayest” suggesting that mankind is neither compelled to pursue sainthood nor doomed to sin, but rather has the power to choose.Meanwhile, Cathy has become a prostitute and embarks on a devious plan to ingratiate herself with the owner, murder her and inherit the business. She makes her new brothel infamous and is not concerned that Adam might look for her, and has no feelings her children Caleb and Aron – echoing Cain and Abel – who grow up oblivious of their mother’s situation. Aron then meets a girl named Abra and the two fall in love. Soon after Samuel Hamilton passes away but Adam is inspired by the memory of his inventiveness. As the boys reach the end of their school days, Caleb decides to pursue a career in farming and Aron goes to college to become an Episcopalian priest. Soon Caleb discovers that his mother is alive and the head of a brothel. Caleb then goes into business with Will Hamilton, as an automobile dealer and also makes a fortune selling beans grown in the Salinas Valley. A successful Aron returns from Stanford for the holiday. intending to drop out of college and Caleb takes Aron to see their mother, who Wracked with self-hatred, signs her estate over to Aron, who then enlists in the army to fight in World War I, but is killed in battle and Adam is overcome with grief. A now bedridden Adam is asked to forgive his only remaining son, responds by giving Caleb his blessing in the form of the word Timshel. of Mice and Men tells the tragic story of George Milton and Lennie Small, two displaced migrant ranch workers, who move from place to place in search of new job opportunities during the Great Depression in California, USA.Based on Steinbeck’s own experiences as a bindlestiff in the 1920s (before the arrival of the Okies he would vividly describe in The Grapes of Wrath), the title is taken from Robert Burns’ poem “To a Mouse”, which read: “The best laid schemes o’ mice an’ men / Gang aft agley.” (The best laid schemes of mice and men / Often go awry.) Required reading in many schools, Of Mice and Men has been a frequent target of censors for vulgarity and what some consider offensive and racist language; consequently, it appears on the American Library Association’s list of the Most Challenged Books of 21st Century. The United Nations’ International Human Solidarity Day is annually held on December 20th to celebrate unity in diversity. It came about in 2005, after the UN General Assembly proclaimed that International Solidarity Day would take place on December 20 each year. This event is aimed to raise people’s awareness of the importance of advancing the international development agenda and promoting global understanding of the value of human solidarity. The assembly felt that the promotion of a culture of solidarity and the spirit of sharing was important in combating poverty.It also aims to remind people on the importance of solidarity in working towards eradicating poverty. On International Human Solidarity Day, governments are reminded of their commitments to international agreements on the need for human solidarity as an initiative to fight against poverty. People are also encouraged to debate on ways to promote solidarity and find innovative methods to help eradicate poverty. Activities may include promoting campaigns on issues such as:Banning land mines.Making health and medication accessible to those in need.Relief efforts to help those who suffered the effects of natural or human-made disasters.Achieving universal education.Fighting against poverty, corruption and terrorism.Solidarity refers to a union of interests, purposes or sympathies among members of a group. In the Millennium Declaration world leaders agreed that solidarity was a value that was important to international relations in the 21st century. In light of globalization and growing inequality, the UN realized that strong international solidarity and cooperation was needed. The UN was founded on the idea unity and harmony via the concept of collective security that relies on its members’ solidarity to unite for international peace and security. Marley warns Scrooge to change his ways or he will share the same miserable afterlife as himself. Scrooge is then visited by three additional ghosts—each in its turn, and each visit detailed in a separate stave—who accompany him to various scenes with the hope of achieving his transformation.The first of the spirits, the Ghost of Christmas Past, takes Scrooge to Christmas scenes of his boyhood and youth, which stir the old miser’s gentle and tender side by reminding him of a time when he was more innocent. 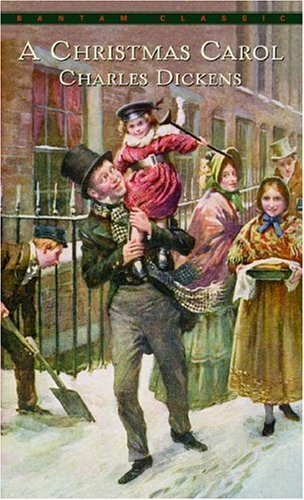 They also show what made Scrooge the miser that he is, and why he dislikes Christmas.